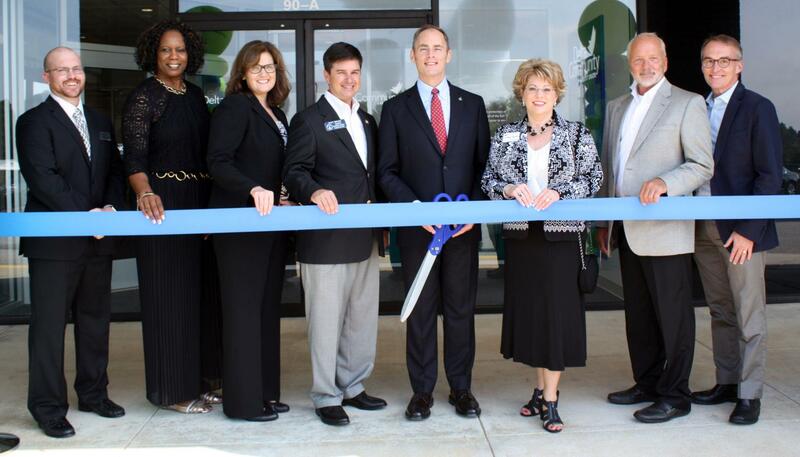 Cobb-based Delta Community Credit Union opened on Aug. 16 its 28th retail branch. The new branch is located at 90 Glenda Trace in Newnan in the Coweta Crossroads shopping center. It is the credit union’s second location in Coweta County. At a ribbon-cutting celebration, Georgia Sen. Matt Brass, Newnan-Coweta Chamber president Candace Boothby and others joined Delta Community CEO Hank Halter to formally open the branch, which is centrally located between the credit union’s existing Newnan Branch on Highway 34 and its two Peachtree City locations. Like the Delta Community Newnan branch, at 1825 Highway 34 East, the new Coweta Crossroads branch includes teller operations and a team of advisors to assist members with home, auto and personal loan needs. The branch also features a walk-up, deposit-taking ATM which is available 24/7 in a secure vestibule. For more information, visit www.DeltaCommunityCU.com.